When I purchase teas from a tea shop, online or otherwise, I like trying the “local” blend. 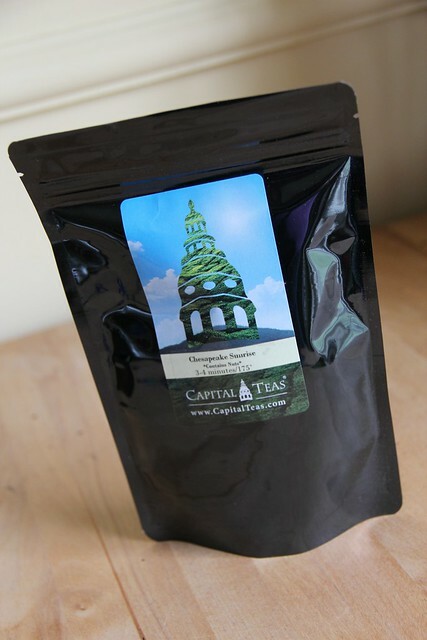 In this case it was Capital Teas Chesapeake Sunrise blend. 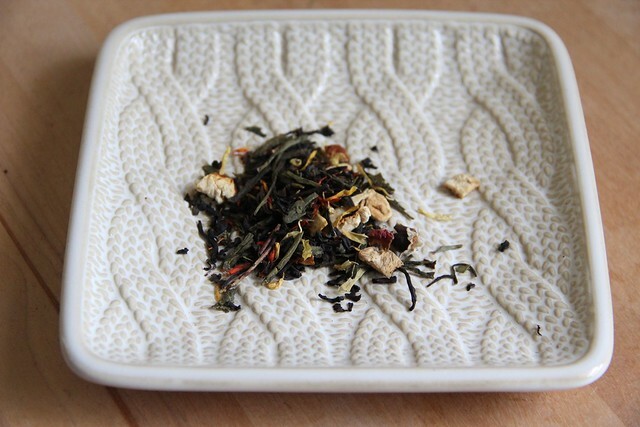 From the website, the blend contains: green Tea, black Tea, orange peel, jackfruit, and almond. It is available a variety of sizes: 2oz for $7.00, 4oz for $14.00, 8oz for $26.60, 1lb for $50.40, and 2lbs for $95.20. When I first opened the package I could smell the almond and something fruity and rich. As it brewed I could smell more of the delicate green tea. The result was a light tea with hints of floral notes and almond. This would be a nice dessert tea, or a sweet morning start.